People get this error that your Windows license will expire soon, you need to activate Windows in Settings either accidentally or after some significant hardware changes, for instance, you have just swapped your CPU. But it is also common that nothing happens after you go to Settings to activate Windows 10 again. Why Will Your Windows License Expire Soon? How to Fix Your Windows license Will Expire Error on Windows 10? Typically, if you run into this Windows license expiring error, it denotes that Windows 10 deactivated itself and you are unable to run some programs as usual. For some people, you will find no sound as the films or TVs failed to open. That is what happens when Windows license is expired. Sometimes the system activation problem that your Windows license will expire soon but Windows is activated will pop up frequently on your computer. As for some users, you have no idea about how to check Windows is genuine or cracked, or you can’t figure out if your Windows is activated, therefore you become confused about the system activation error that why your Windows license is about to expire soon. 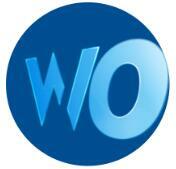 But if Windows expiring error remains on your PC, the performance will definitely be affected negatively. Hence, it is urgent to address Windows license expired issue on Windows 8.1 or Windows 10. No, normally, as long as your product activation key is legal, Windows license won’t expire. From this perspective, once you find you have been warned the error of expired Windows license, perhaps it means Windows 10 is private and it is time to figure out what makes your system license expire and how to fix this Windows 10 activation issue. Normally, once Windows 10 is activated, the activation status displays as activated. But your Windows license is about to expire as Windows 10 keeps the product key of the previous operating system even after you upgrade from Windows 7 or 8 to Windows 10, or from Windows 8 to 8.1. For example, if you have upgraded to Windows 10 from Windows 7, the activation key of Windows 7 remains on Windows 10. In reality, with the old product key, in the process of upgrading, the system regards Windows 10 installation as a standalone procedure rather than the relevant one. Or there are also some users who are using a non-official product key (pirated key), it is predictable that you will be warned that your Windows 10 license expires. But if you are using the legitimate, say, a digital license, your Windows license can never be expired. On the other hand, if you have bought an old computer with a product key from the seller, you can also find you are plagued by the Windows 10 license will expire soon error as the seller will use the same activation key. When the product key is used by someone else, your Windows license is about to expire. All these are the potential reasons why Windows 10 license will expire soon. Based on the causes of the expired or expiring Windows license, it’s best to attempt to fix your Windows license will expire soon but Windows is activated issue. With diving into Windows 10 license expiring problem, you can see it actually an activation problem. In order to remove the Windows license expired issue from your PC, you would better try ways to make sure you have activated Windows 10 correctly with the right product key. And after that, if your Windows license will expire soon as well, perhaps you also need to check the related service or program for sake of bringing the expired Windows system back to your computer. Here you should keep in mind that any pirated product key will result in the error message displaying that your Windows license will expire soon, you need to activate Windows in Settings. If you are using the pirated product key, it is advisable for you to buy a legitimate one from Microsoft official site. If you are repeatedly told that Windows license is about to expire soon even if you had activated the system with the legal product key, you need to go ahead for effective ways. Possibly, for users who get into the error that Windows 10 license will expire soon but Windows is activated, it may lie in your false product key on the new system. In this sense, there is much need for you to see the product key for Windows 10 on your PC to avoid any unnecessary operation. Then you might as well decide to re-activate your system with the real product key for your system. 2. In the Command Prompt, copy and paste in the command below and then hit Enter to check the genuine product key. Here you can see your activation product key under the command you have executed in Command Prompt. With the genuine product key for Windows, it is about time to change it in hope that your Windows license will expire soon error will disappear. 4. Then go to Start > Settings > Update & Security. 5. 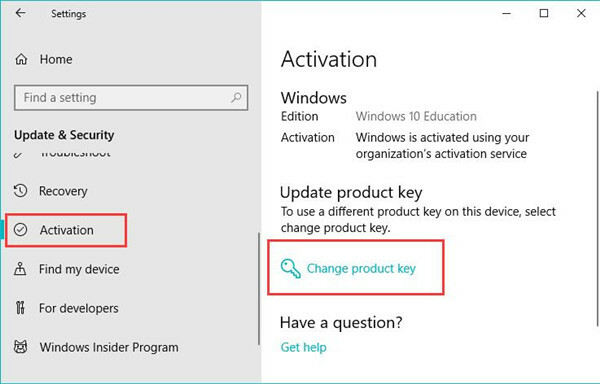 Under Activation, click Change product key under Update product key. 6. Enter the activation key from the Command Prompt. Try to restart your PC to take effect and you won’t receive the warning showing that your Windows license will expire soon but Windows is activated. To check if Windows is activated, you may as well make full use of the slmgr command-line tool to examine the condition of your system. As long as you are the one who is not so confirmed about your product key, manage to see if Windows 10 is really activated. To run the slmgr tool, you just need to execute different commands in the Command Prompt depending on the different purposes. Here to check if Windows 10 is activated and genuine, follow up. 1. 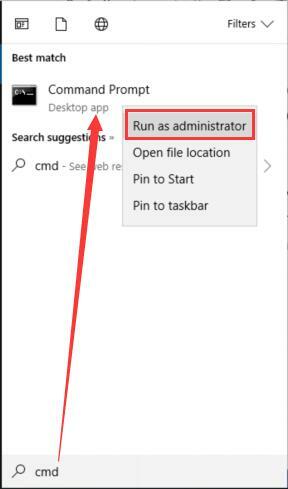 In Command Prompt, run the command slmgr –rearm and then press Enter. For some people, you can also attempt to execute the slmgr command slmgr /upk or slmgr /xpr in Command Prompt. Then you will be prompted whether your product key is pirated or not and Windows is activated or not. 2. Restart your PC to take effect. From then on, it is clearer how you can remove your Windows license will expire soon warning on Windows 10. If the activation key is not genuine, you need to buy a legal one and the Windows license expired error will disappear automatically after you changed into the correct digital license. If Windows 10 is activated but it keeps showing the Windows license will expire soon, go on for ways out. 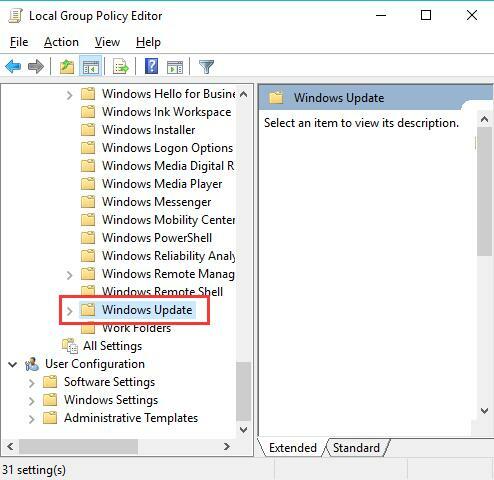 It is proved effective towards the Windows license expiring issue to edit the relevant settings in the Group Policy. 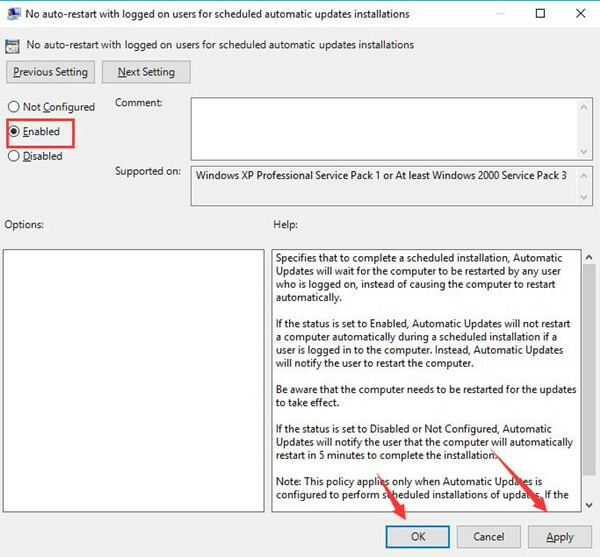 You are to disable the option- No auto-restart with logged on users for scheduled automatic updates installations in hope that Windows 10 license is about to expire warning will perish. 1. Press Windows + R to open the Run box and the entergpedit.msc in the box. Then click OK to step into the Group Policy. 3. 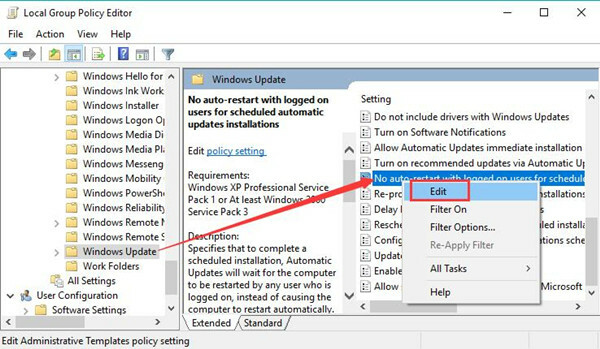 Under Windows Update, on the right pane, locate auto-restart with logged on users for scheduled automatic updates installations and then right click it to Edit. 4. Then choose to set this option as Enabled. 5. Hit Apply and OK to save changes. 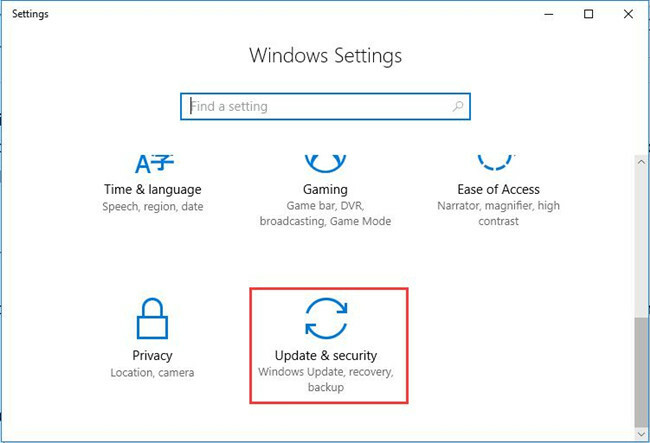 In this way, Windows 10 will remind you of the updates if there is any. If the problem that your Windows license will expire soon but Windows is activated keeps happening to you, in some sense, it lies not in the product key or other programs but in the Windows License Manager itself. 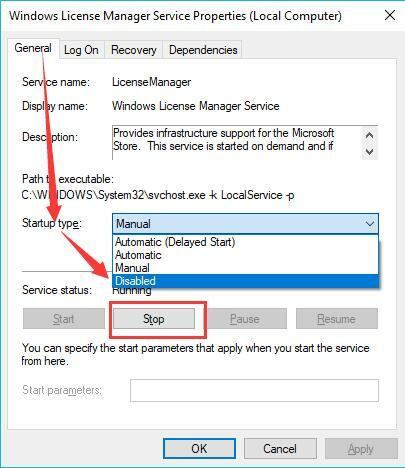 By this token, change the settings related to Windows license service can be a good way to resolve the Windows activation error. 1. Use the combination key Windows + R to open the Run box and type in services.msc in the box. 2. 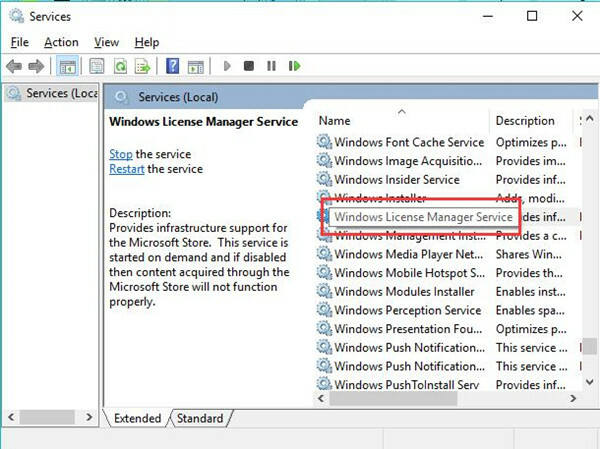 In Services window, scroll down to find out and double click the Windows License Manager Service to open its Properties. 3. In Properties window, locate Startup type and then set it Disabledand make the Service status Stop. For some of you, Windows license expired remainder won’t come up on Windows 10. From the description of Microsoft, it is by default that Windows 10 will expire some day after it is activated. At that moment, your system won’t boot and your Windows license will expire soon error message will pop up. For Windows 10 Preview build, when Windows license is expired, it will not be activated. In this situation, there is much need to perform a boot using the Media creation tool and download ISO files for Windows 10. Once you have reinstalled Windows 10 on your own with the tool, you are to enter the product key of the default system. Shortly after that, your PC will not get stuck in Windows license expiring trouble anymore. Either your computer is pre-installed Windows 7 and then upgrade to Windows 10, the manual way to install Windows 10 will solve your problem properly. All in all, it is a common phenomenon that you are in the dilemma where your Windows license will expire soon. Under some circumstances, even if Windows is activated, the expiring license warning still pops up. To fix it, try the ways above to make sure you have correctly activated Windows 10 with the genuine product key and there is no service or program interrupting the system.